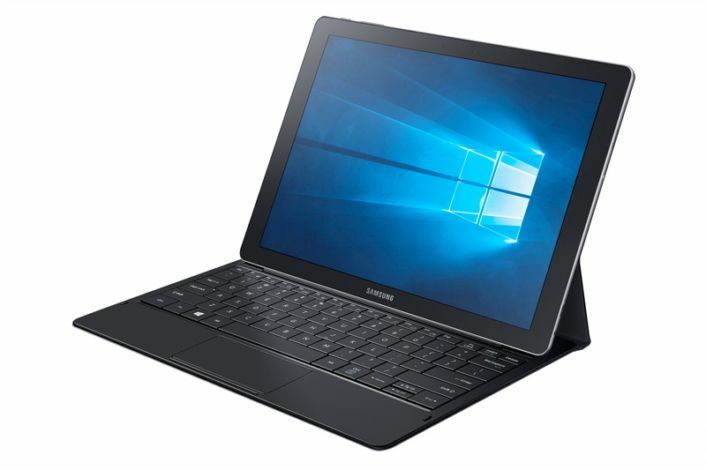 It was back at the Consumer Electronics Show 2016 that Samsung first unveiled the 12-inch Galaxy TabPro S “premium tablet” that’s powered by Windows 10. We’ve already seen it go up for sale in several markets across Europe, the Galaxy TabPro S pre-orders for customers in the United Kingdom went live just yesterday, and today the company has confirmed that this tablet will be available for customers in the United States tomorrow with a price tag of $899.99. The Galaxy TabPro S is an ultra-thin detachable 2-in-1 tablet that comes with a keyboard case. An optional stylus will be available later this year. It has a 12-inch 2160×1440 pixel resolution display, a dual-core 2.2GHz Intel processor with 4GB RAM and 128GB/256GB SSD storage options. There are two 5-megapixel cameras on the front and back of this device which also features a 5,200mAh battery and runs full Windows 10. Customers in the United States can pick up the Samsung Galaxy TabPro S from Best Buy, Microsoft Stores and Samsung starting tomorrow for $899.99.